Along with the Federal Association of the Order of Malta in Chicago, we are embarking on a longstanding project with Catholic Charities. The location of the project is House of the Good Shepherd, which is located in the Wrigleyville neighborhood of Chicago. House of the Good Shepherd offers a comprehensive, curative program over and above immediate, short-term safety. In addition to meeting urgent security needs, House of the Good Shepherd’s intensive recovery program: 1) promotes healing and recovery for the mothers and children they serve, 2) enables the women to develop independence and self-sufficiency, and 3) empowers the women to break the cycle of abuse. The IL Area is grateful to House of the Good Shepherd and to Msgr. Michael Boland, President of Catholic Charities for the Archdiocese of Chicago, for allowing us to support the vital services offered by House of the Good Shepherd to members of our community. Knights and Dames help maintain the home of and serve quarterly suppers to the residents of L’Arche Chicago. L’Arche is an International Federation dedicated to the creation and growth of homes, programs, and support networks for people who have intellectual disabilities. There are three L’Arche homes in Illinois; Friendship House and Angel House, both of which are in Oak Park, and Peace House, which is in Forest Park. This is a developing ministry for the Order in Illinois, as we seek initially to create lasting relationships with the people living in the communities. To that end, we have visited the Homes to cook and share meals, and have hosted the residents and their living assistants in our homes for Sunday suppers! We also have participated in “Spring Spruce-Up Days” at each of the Homes, where we roll up our sleeves, weed, rake, mulch, plant and in all respects beautify these three wonderful communities of faith and friendship. Each year, Illinois Area Knights and Dames gather at Little Sisters of the Poor – St. Mary’s Home in Chicago for a Mass and Anointing of the Sick in observance of the World Day of the Sick and Feast of Our Lady of Lourdes.Following the Mass, Knights, Dames and their families join the residents for lunch and are always honored to be among the residents of the Home and the Little Sisters themselves, who dedicate their lives to serving the elderly poor. On August 15th each year, Knights and Dames assist the Little Sisters with a Mass and Rosary Procession in commemoration of the Assumption. And on a Saturday in August each summer, Knights and Dames from the Illinois Area gather in the beautiful outdoor courtyard of St. Mary’s Home to host the annual summer barbecue for residents, staff and the Little Sisters themselves! It is true for each of our visits to St. Mary’s that our presence is deeply appreciated, and the summer barbecue has become a yearly highlight for all involved. 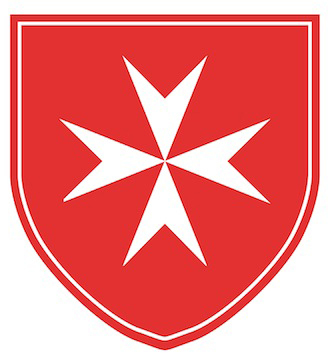 Knights and Dames gather monthly at Catholic Charities in Chicago for a Tuesday Night Supper sponsored by the Order of Malta. Knights and Dames participating in the Tuesday Night Supper serve dinner to 130 homeless and working poor individuals in the Chicago Area. Knights and Dames also have participated in Catholic Charities No Kid Hungry campaign, by conducting a food drive and then bagging and delivering groceries to communities in need. Click here to see photos from our Tuesday Night Supper.